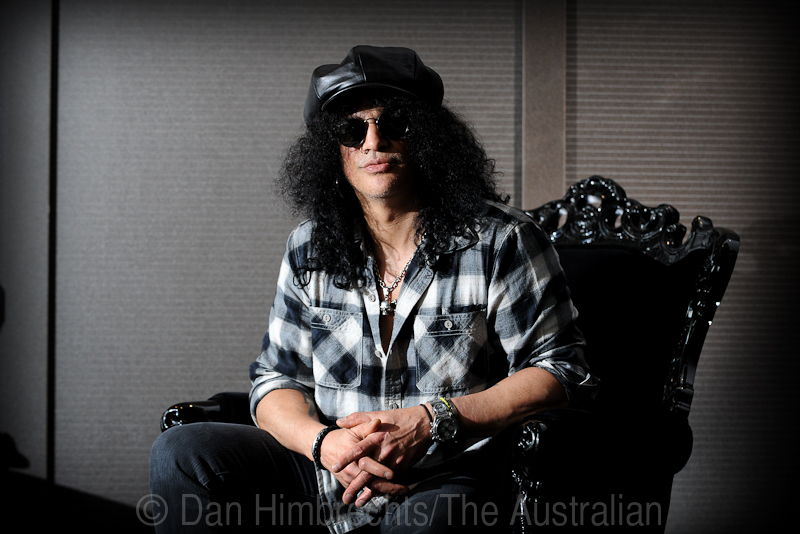 I wasn’t a huge fan of Guns N’ Roses, and can’t say I’ve been much into Slash’s solo career, but there’s no denying he’s an absolute shredder on the guitar – and anyone who knows me knows I don’t mind a bit of guitar geekery…. 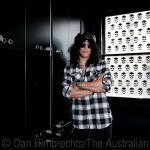 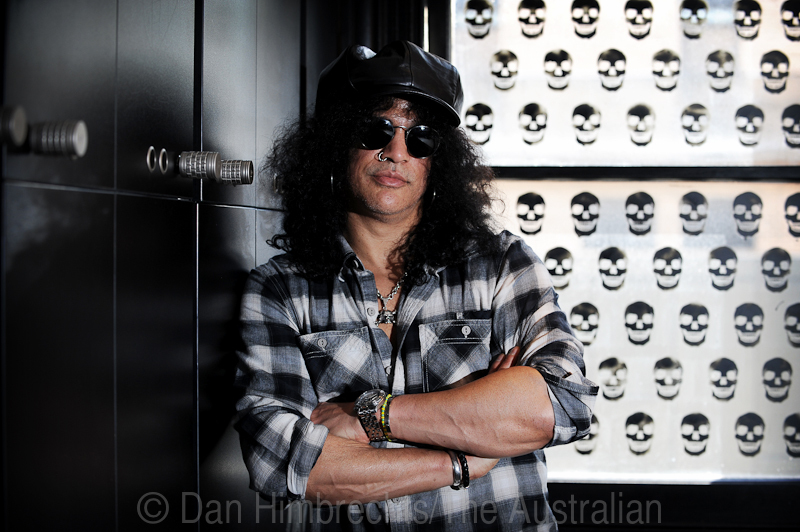 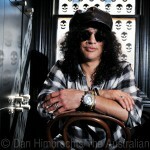 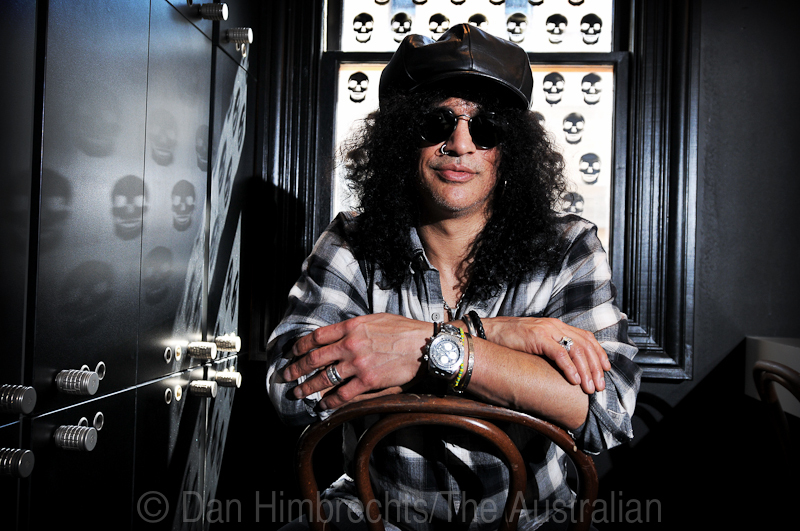 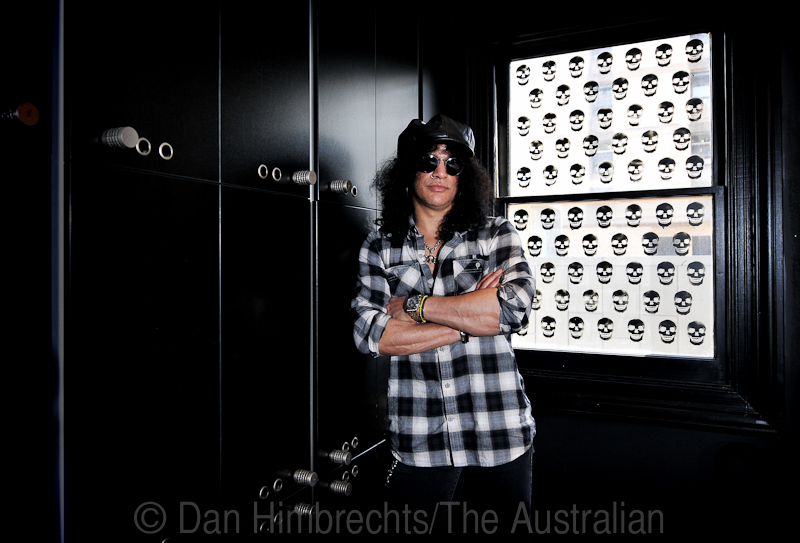 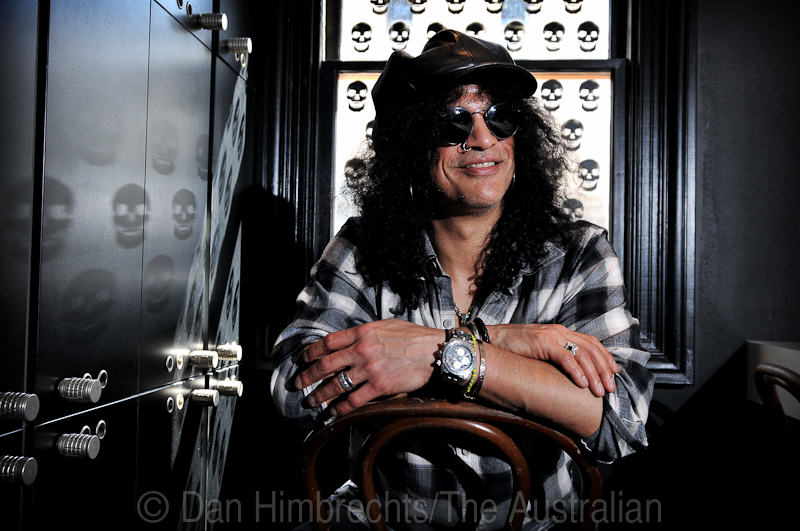 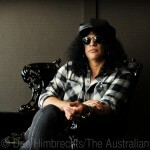 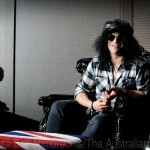 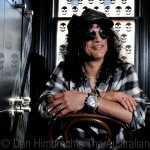 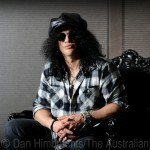 So anyway a couple of weeks ago I got sent to photograph Slash for The Australian. 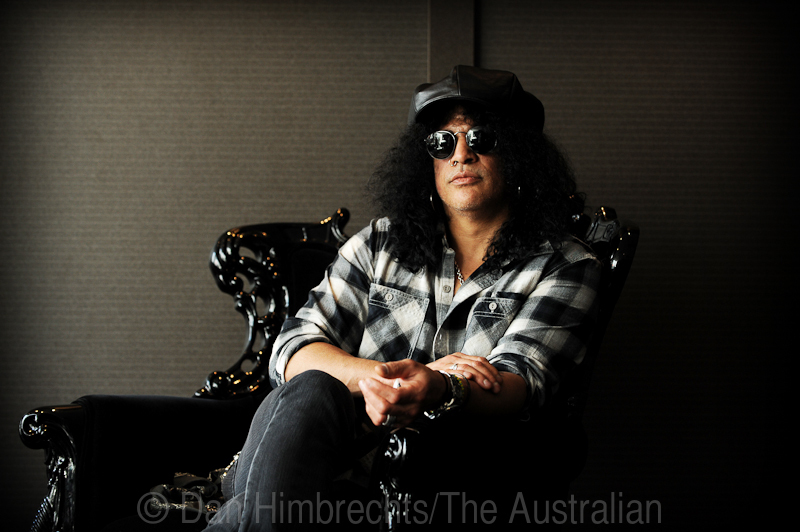 He was in town for a couple of shows at the Soundwave festivals and to promote his upcoming album Apocalyptic Love. 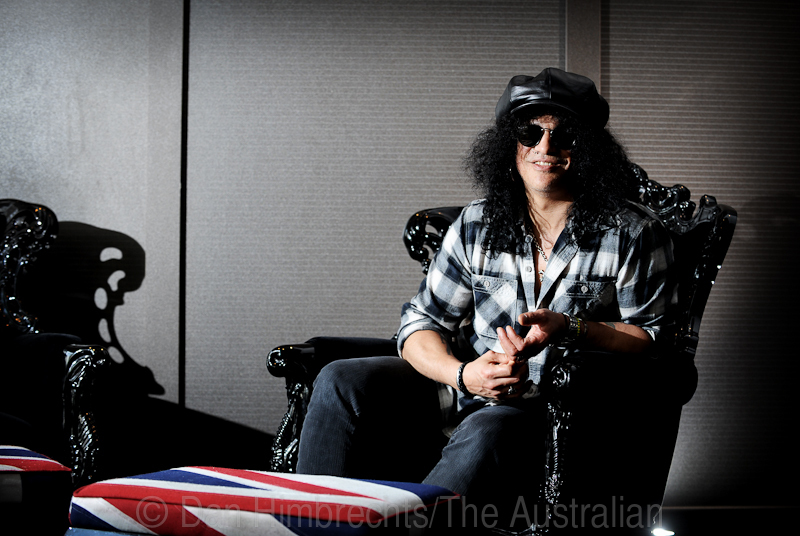 I don’t know what the new record sounds like, but the journalist who came along to interview Slash reckoned the new singer sounds exactly like Axl Rose – controversial. 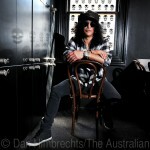 I’m no music writer so here are the pictures from a tightly controlled few minutes with the fretmaster himself. 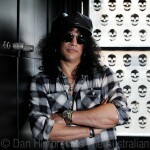 By the way, he seemed like a nice guy – he shook my hand and thanked me for coming down to take his picture. 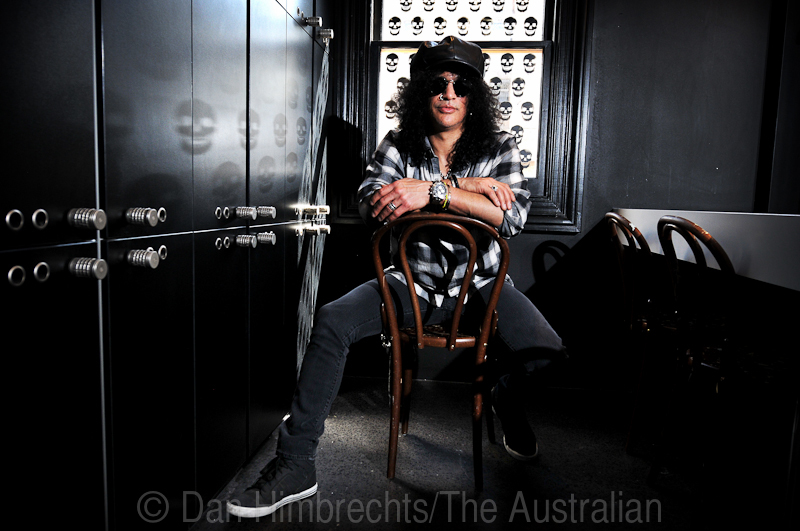 As usual, more time to do a couple of different shots would have been good, but I was only allowed one setup and the stopwatch was ticking – literally!